The optional curtain set can be installed to prevent glare from the evening sun or can be added for a level of privacy. 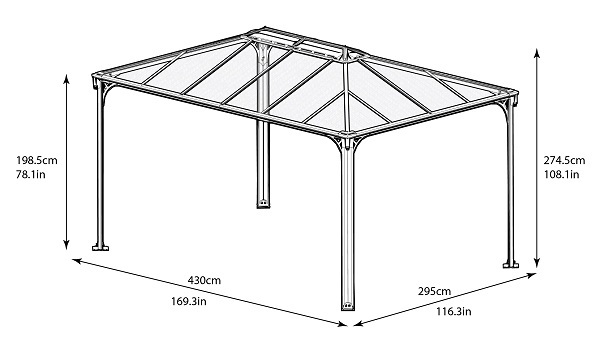 When you're looking for a gazebo, the Palram Martinique Rectangle Garden Gazebo stands firm as the ideal choice. 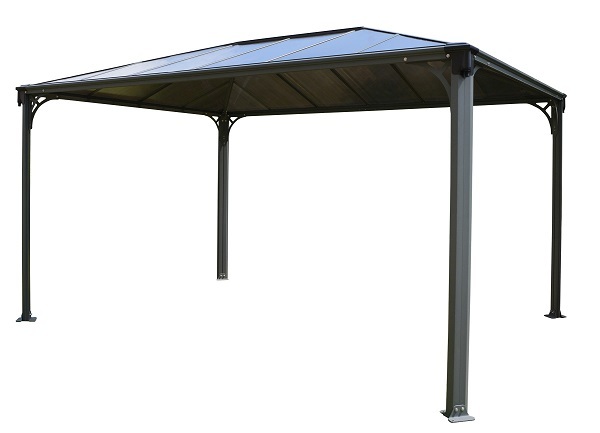 Designed for year-round weather conditions, the powder-coated aluminum frame is a corrosion-resistant structure that comes with anchor bolts. The six-millimeter polycarbonate panels won't yellow or become brittle in the sun and are virtually unbreakable. Additionally, it has a fast and easy DIY set-up, ten-year limited warranty, and U.S. based customer support. 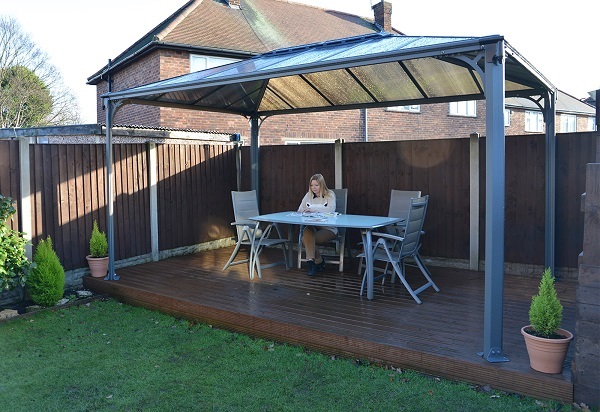 This gazebo has all the strength you could want without sacrificing any of the style.